Baliceaux is a classic private island in a part of the world that is truly unspoiled, with breathtaking natural beauty. 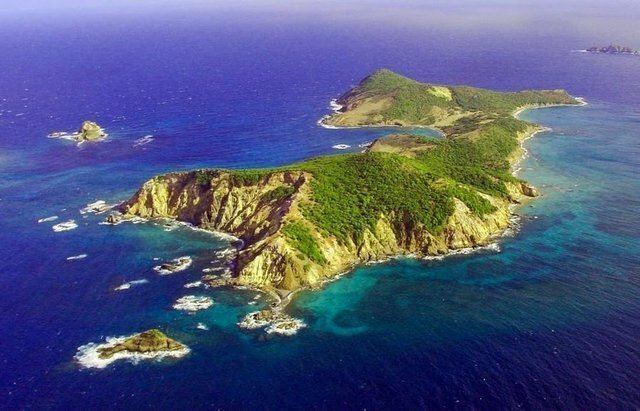 It's a part of the chain of islands called The Grenadines, which stretch 40 miles south of the main island of St. Vincent and just a short boat ride from the famous Mustique. Primed for development, it is perfectly located between numerous established resort islands and their airports. It also has the perfect balance of mountains, flat lands and beautiful white sand beaches. Balliceaux is irregularly shaped and is approximately 1500 miles long and about 700 meters at its greatest width. The island is approximately 320 acres in size. Baliceaux is a Freehold property. Highly attractive concessions for Developers are available.